What Are the Most Durable Countertop Materials? Style is an important factor when choosing a kitchen. After all, it’s an important part of your home, and adding features such as your custom kitchen cabinets in Perth can make a big difference. However, kitchens also need to be built to last, and when you invest in a new kitchen, you want to know it’ll stand up to repeated use across the years. That’s why the materials you use are so important, especially when it comes to the countertops. The kitchen is one of the most high traffic rooms in your house and as a result your countertops will see a lot of use on a daily basis. Beyond this regular day to day use, the materials in your kitchen also need to be able to withstand the hazards that come with preparing and cooking meals. Hot pots and pans can quickly burn through non-fire resistant surfaces, and you’ll need materials that won’t get damaged by sharp knives. It’s important that countertops are easy to clean and look good after a quick wipe. With these risks in mind, it’s critical to consider the durability of the materials you’re planning on using in your Perth kitchen countertops. Here at Ecocabinets, we’re proud to be a leading provider of environmentally conscious custom kitchen designs and installations. Read on to learn more about our top picks of hard wearing countertop materials that can withstand the challenges of everyday life. Comprised of one of the toughest minerals on the planet, perhaps it isn’t too surprising that quartz countertops have exploded in popularity in recent years. Quartz countertops are created using ground up quartz, which is bound together using polyester resin. The end result is a material that is incredibly durable and resistant to scratches, making it an excellent choice for anyone who wants to build resilient kitchen cupboards in Perth. For even greater longevity, consider rounding the edges and corners of your quartz countertops to minimise the risk of chips further down the track. Despite its impressive durability, quartz makes no sacrifices in the looks department. In years gone by, quartz countertops typically came only in simple, artificial colours, but new manufacturing techniques have made it possible to create wonderfully intricate and organic patterns that are almost indistinguishable from real stone. While natural granite continues to be a popular choice among discerning customers, engineered granite is proving to be a very strong alternative. The latter offers the same gorgeous aesthetic and super durability as its organic counterpart, and even manages to improve on some of its characteristics. For example, natural granite has been known to develop cracks and chips due to naturally occurring fissures and cavities that exist within the stone, particularly if the stone hasn’t been sealed. In contrast, engineered granite does not have these inconsistencies and is both heavier and harder than natural granite, making it almost impossible to crack or chip with regular use. In addition, natural granite is typically more porous. Although this trait can provide great texture, it also makes the stone more susceptible to stains, particularly those caused by oils and food colouring. Dekton is available in a wide variety of colours and finishes. You can choose countertops that closely resemble stone, concrete, or marble, with interesting textures to give a luxe finish to your kitchen. 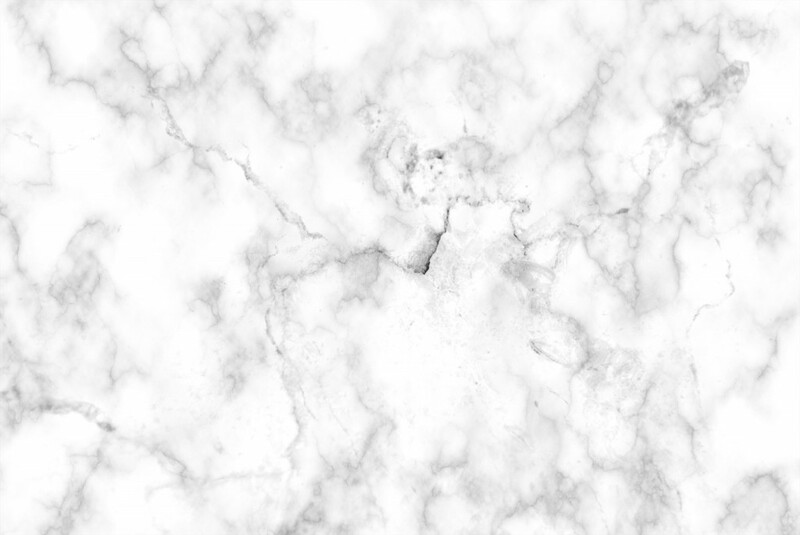 Neolith is a similar material as Dekton, and a great alternative to natural stone. This sintered material is light, so easy to install as a countertop, yet incredibly strong, resisting bending and able to withstand large amounts of heat or cold. Because Neolith is also resistant to UV rays, it stays looking new for longer. If sustainability is a factor in your choice of countertops, then Neolith is an environmentally friendly choice. Neolith is made without resin or any substances harmful to the environment. When it’s created, around 52% of the materials used are recycled, and when you decide to next your countertops, Neolith is 100% recyclable. Having been a staple in kitchen design for the past half century or so, it’s fair to say that solid surface countertops have stood the test of time. Available in a broad selection of patterns and colours, solid surface countertops can be incorporated into just about any kitchen design. They’re also very versatile and can be moulded into almost any shape, meaning it’s possible to use solid surfaces in a variety of applications, including backsplashes, sinks, counters and more. Functionally, the biggest advantage of solid surface countertops is that they’re almost entirely non-porous. This makes the material stain resistant, allows for easy cleaning and minimises the risk of bacteria growth. However, while solid surfaces are very strong, they are not heat resistant and are quite vulnerable to cuts and scratches. It is possible to sand these imperfections down, but some people will be put off by the prospect of extra maintenance. From style to storage options, there are many things to consider when designing custom kitchen cupboards in Perth. Armed with the information in this article, you’ll be better able to make an informed decision when the time comes to selecting a countertop material. 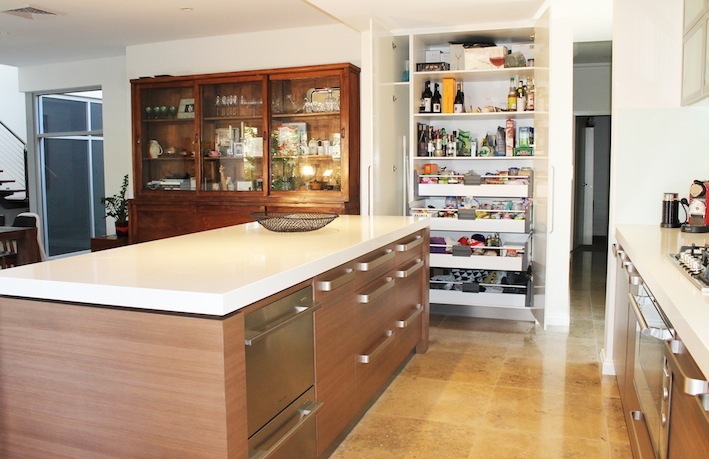 Looking to design, build or install high quality kitchen cabinetry in Perth? With a focus on beautiful design and sustainable business practices, Ecocabinets has the specialist expertise needed to complete your project to the highest of standards. Get in touch with the Ecocabinets team today for your free design consultation.